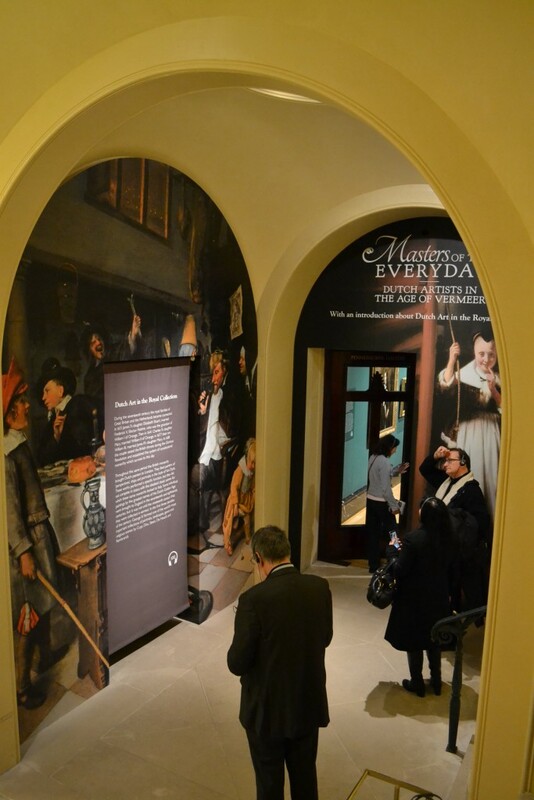 Masters of the Everyday, a new exhibition at the Queen’s Gallery, Buckingham Palace. 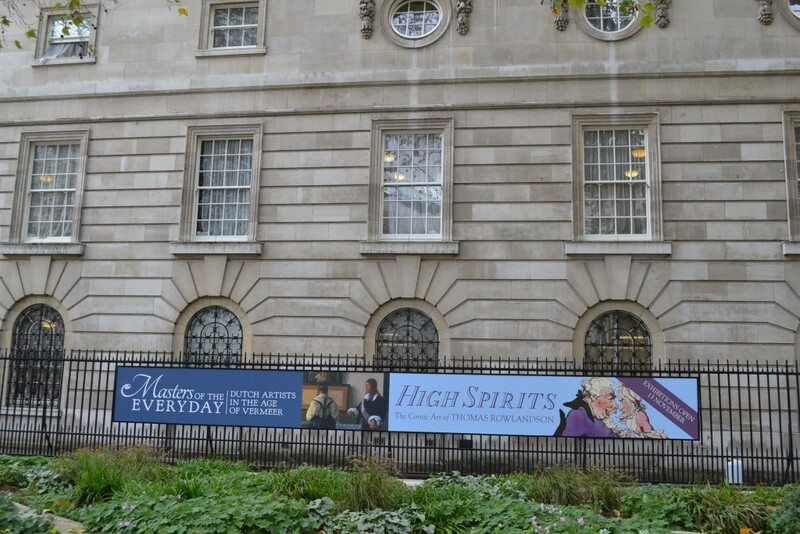 For the purposes of this review, I will only be focusing on the 17th-century exhibition, although there is another which is being presented at the same time, High Spirits: The Comic Art of Thomas Rowlandson, comprising works from one of the wittiest and most popular caricaturists of Georgian Britain. 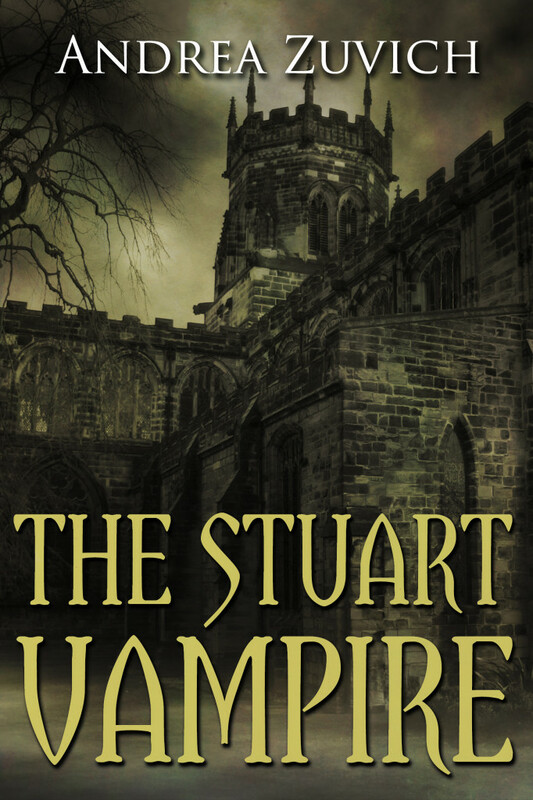 Be sure to check London Historians’ blog for their review of both. 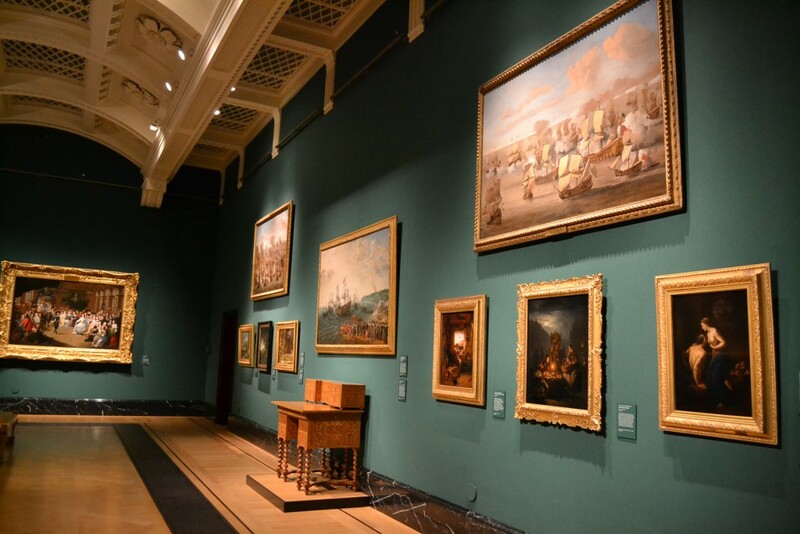 Located in the Queen’s Gallery, which is to the left of the front of Buckingham Palace, this current exhibition contains some outstanding works of Dutch 17th-century art. 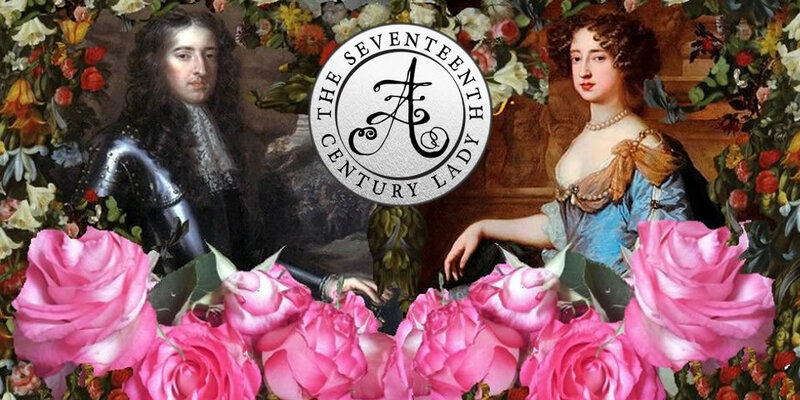 If you love the 17th-century (and let’s be honest, if you are reading this, you more than likely do), you cannot be unaware of the importance of that century’s Dutch art. 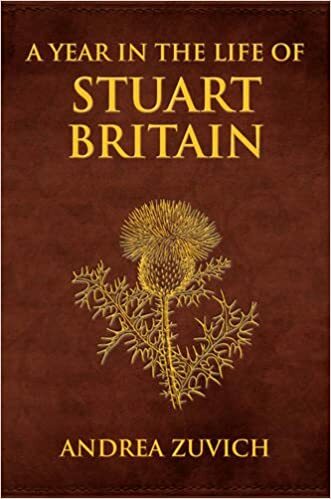 The history of the Dutch Republic/United Provinces (as it then was) is inextricably linked to the history of the British Isles. 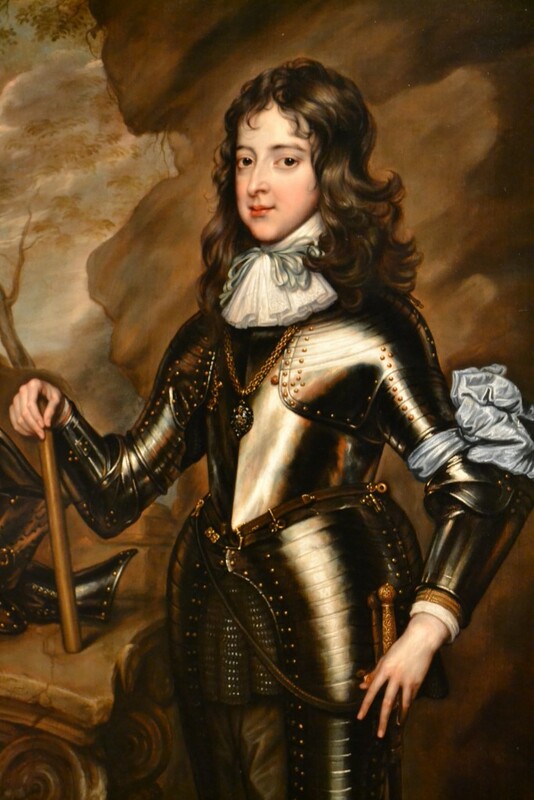 Not only were there the Anglo-Dutch Wars in the middle of the century, but there were marriages between the Houses of Orange and Stuart, from which was born the important Stadtholder-King Willem III (more on him later). 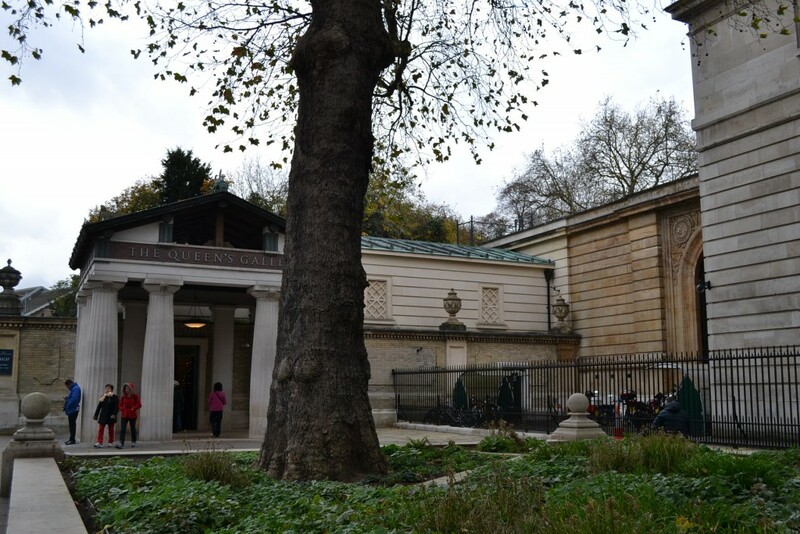 This morning I had the great privilege of attending a Blogger’s Breakfast at the Queen’s Gallery at Buckingham Palace to be among the first to see the brand new exhibition. 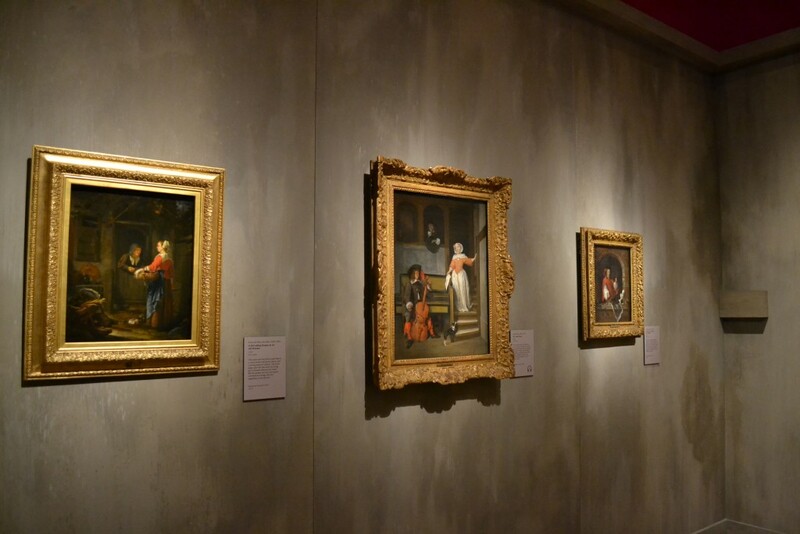 Curated by Quentin Buvelot and Desmond Shawe-Taylor, this exhibition features works from the greats of the Dutch Golden Age: Rembrandt, Vermeer, Dou, Metsu, van Mieris, Pot, Shalcken, among others. 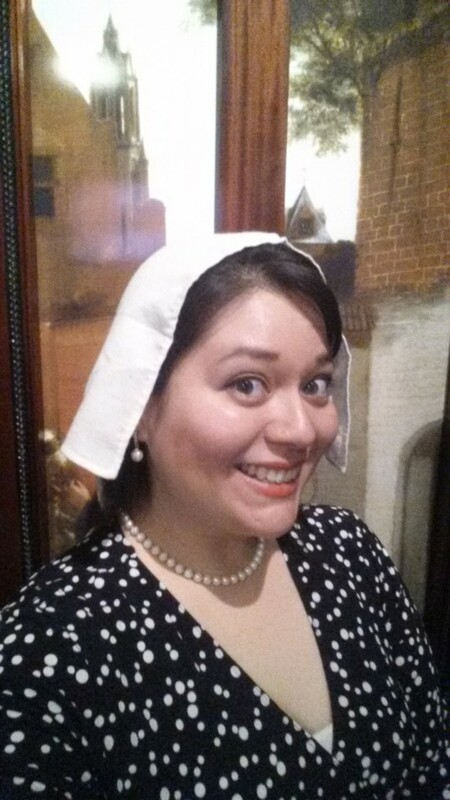 Shawe-Taylor gave us a great and informative talk about the paintings in this exhibition. 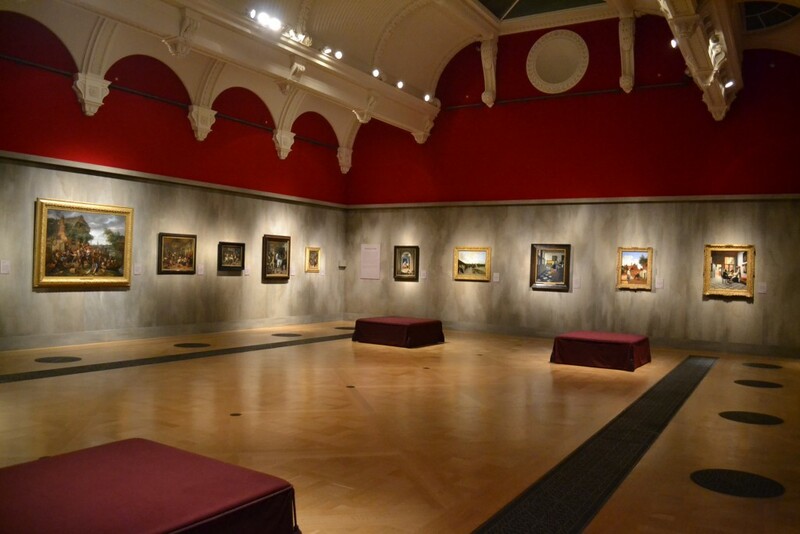 He explained that the walls for the main room in the exhibition were decorated to be a sort of greyish whitewash (which was usually used on walls at that time), but not a genuine one because that wouldn’t have shown the paintings at their best. The first room is green, and I honestly preferred that to the greyish tone used in the room above. 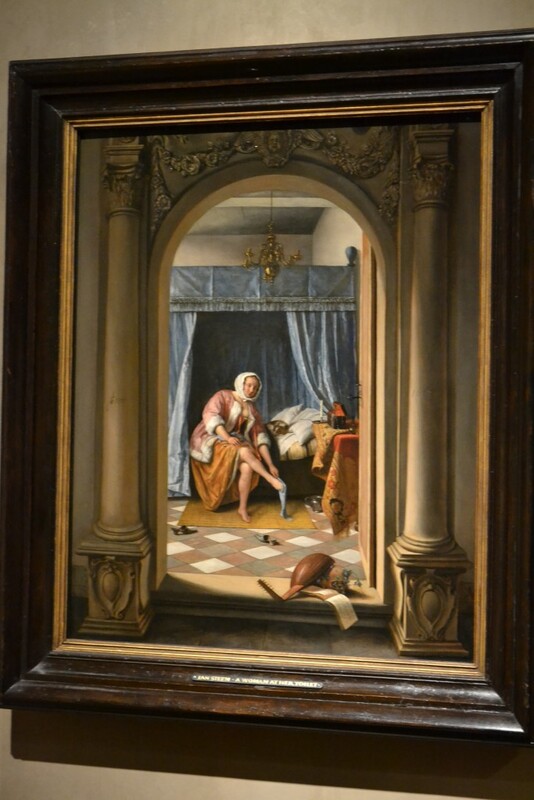 The curator suggested (and I agree) that this is reminiscent of the tale of Lucretia – a Roman lady who killed herself when she was dishonoured. 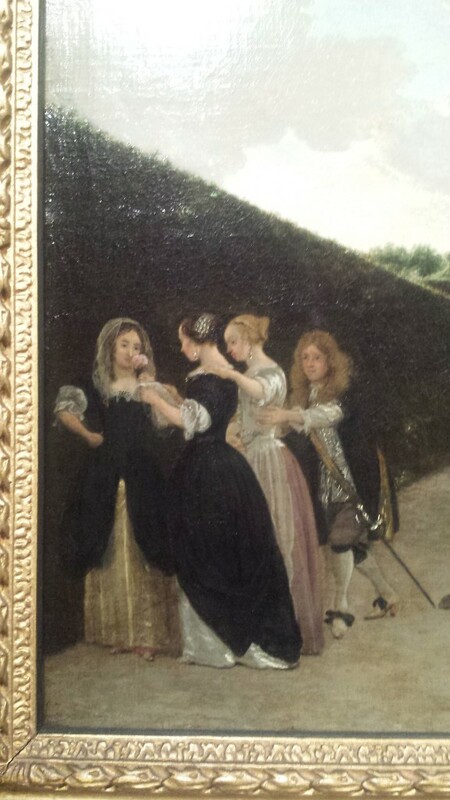 The lady in this painting looks surprised and a little shocked and frightened. 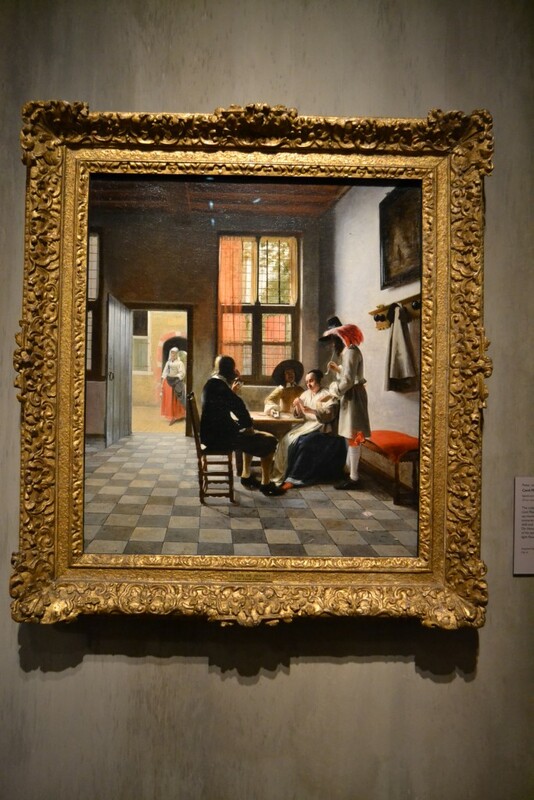 While there were some paintings I had previously seen in past exhibitions (such as the Vermeer above), there were many I had not seen before and so it was quite thrilling. 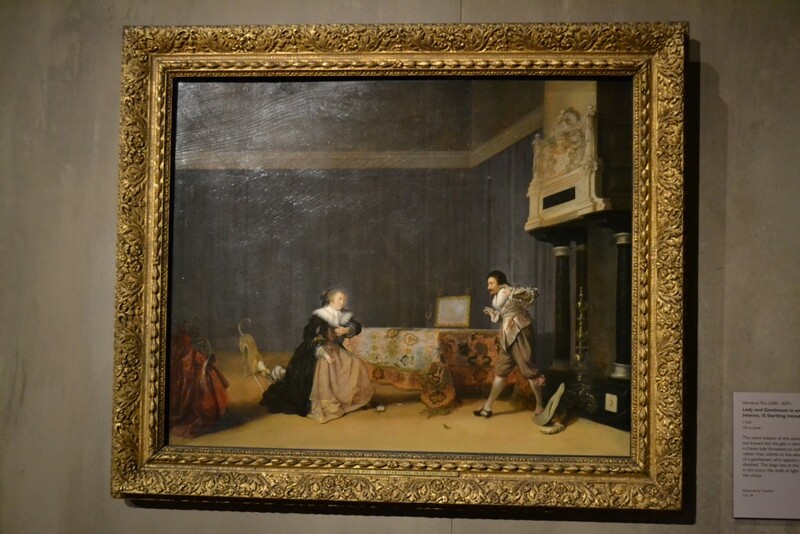 The first one was the very cheeky The listening Housewife by Nicholaes Maes, c. 1655. I say cheeky because that’s the expression on the lady’s face. 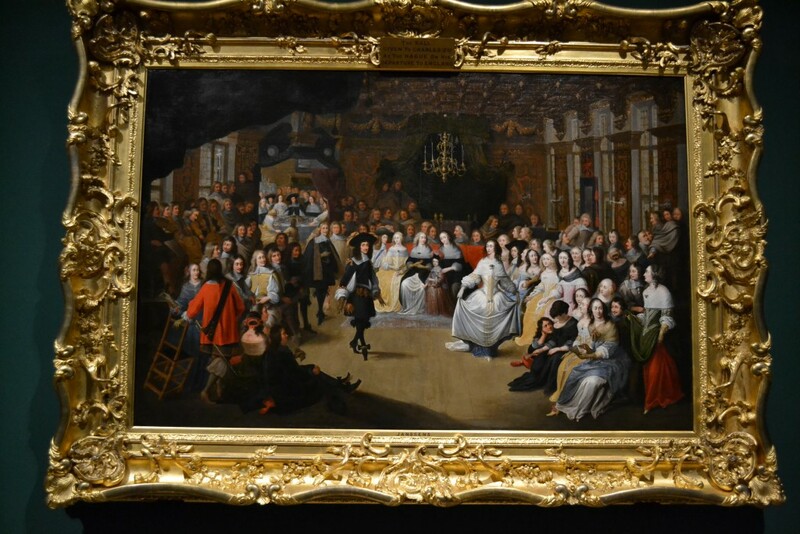 Look to the lower left-hand side, and you’ll see a couple snogging and another person standing nearby. 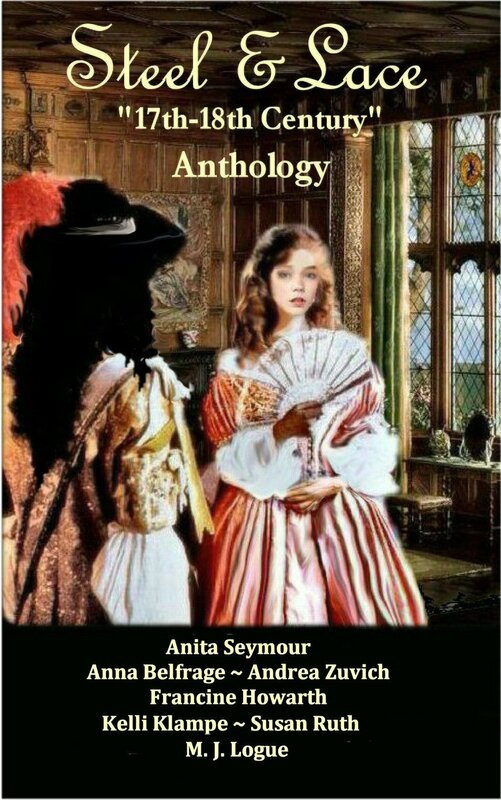 The young woman is clearly shirking her duties to spend time with her lover. 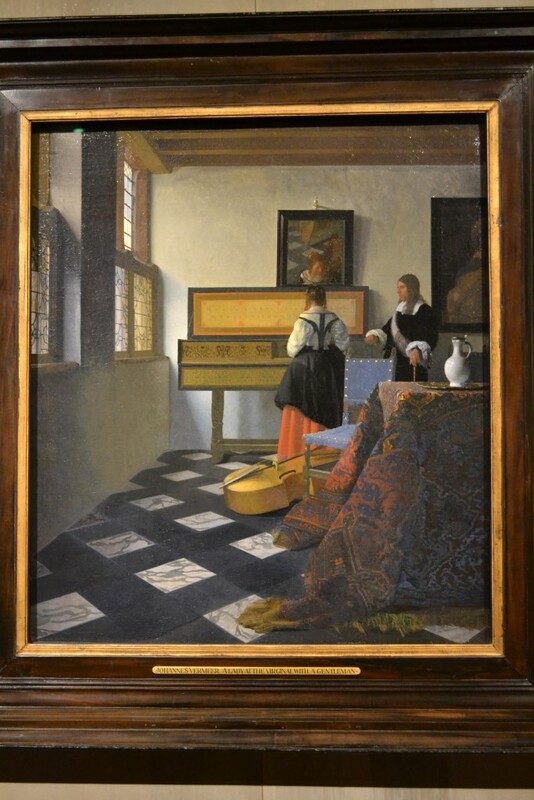 Somehow, my photos of this painting are damaged, so you’ll simply have to see it for yourself! 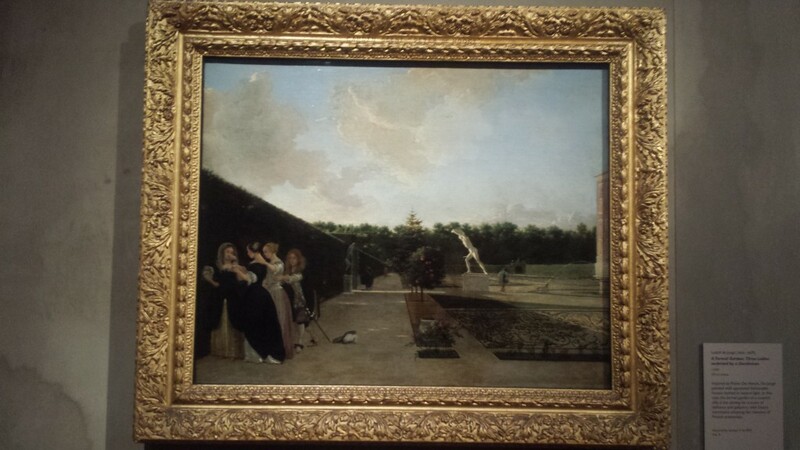 The other painting I was intrigued by was this one by Ludolf de Jongh, A Formal Garden: Three Ladies Surprised by a Gentleman, c. 1676. 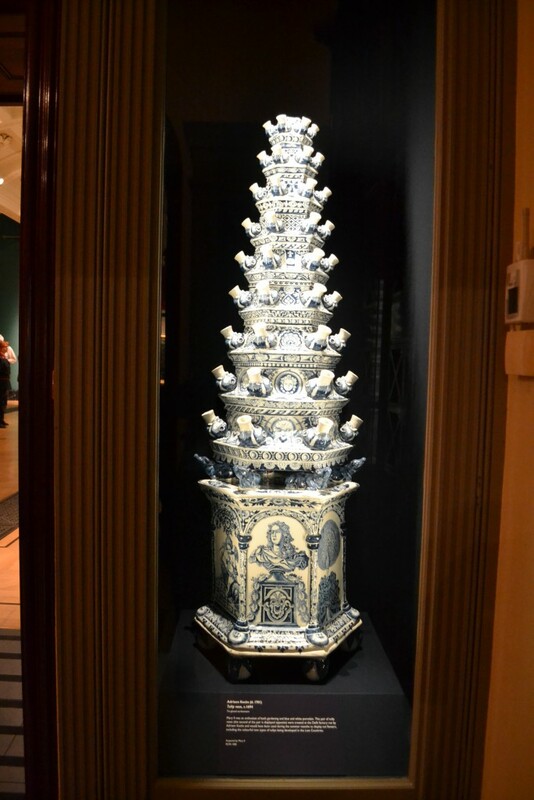 This was also acquired by King George IV in the 1820s. I think it’s a lovely painting! You can see a closer detail of the people in the second image. 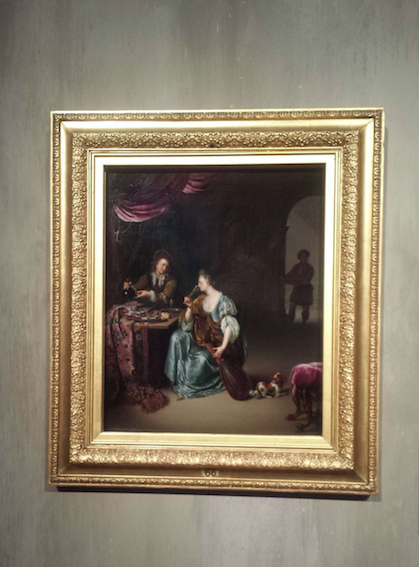 There is also a Willem van Mieris painting, The Neglected Lute. This, again, was acquired by George IV in 1814. 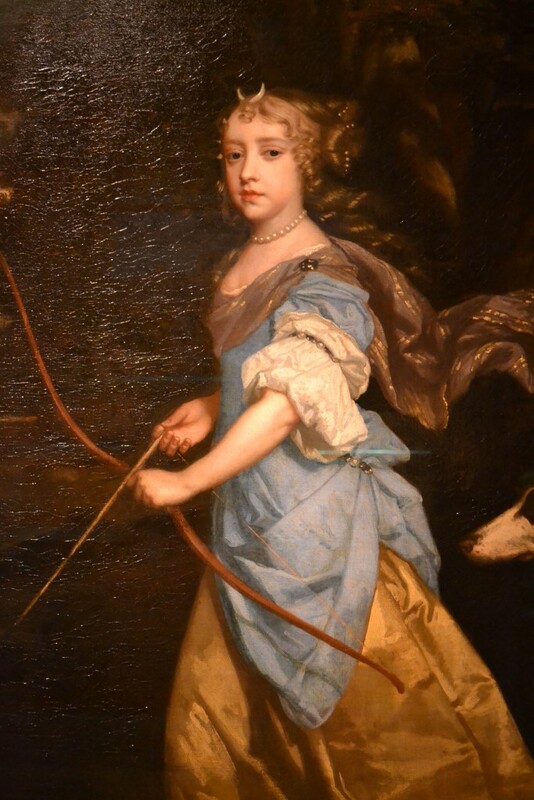 Speaking of the Stuarts, I was very excited to see the portraits of William and Mary when they were children. 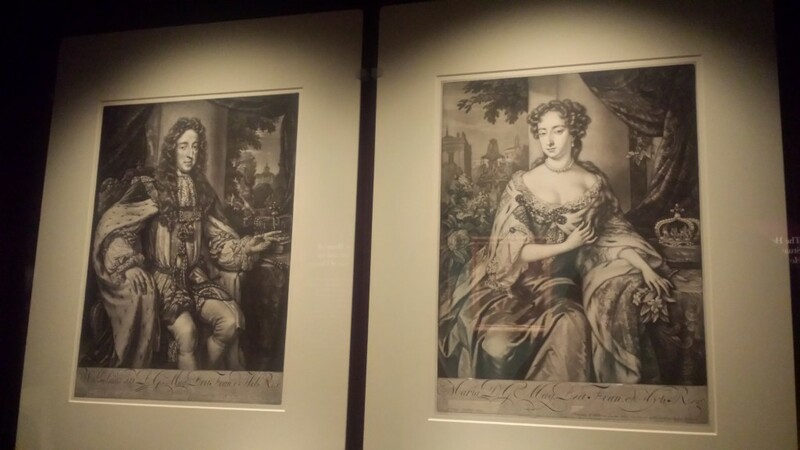 Shawe-Taylor told us that these were by Dutch artists in the style of Flemish Baroque master van Dyck. You can tell that’s what they were going for, and they are stunning. It was a very pleasant surprised to find that I won the competition for the exhibition book. Yey! That definitely was the icing on the cake. I was happy to see my friends Mike Paterson from London Historians and Kate Morant (who is working on Edmond Halley), and we had a lovely breakfast which was kindly provided by the gallery (my orange juice was in a glass marked with the Queen’s initials!). 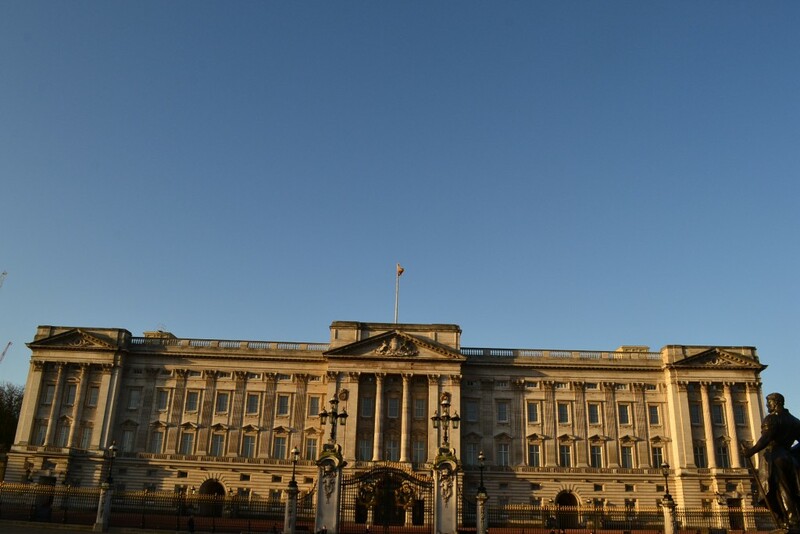 I’d like to thank Sophie from the Royal Collection Trust Press Office for inviting me today. In short, I loved this exhibition and I am sure you will too. 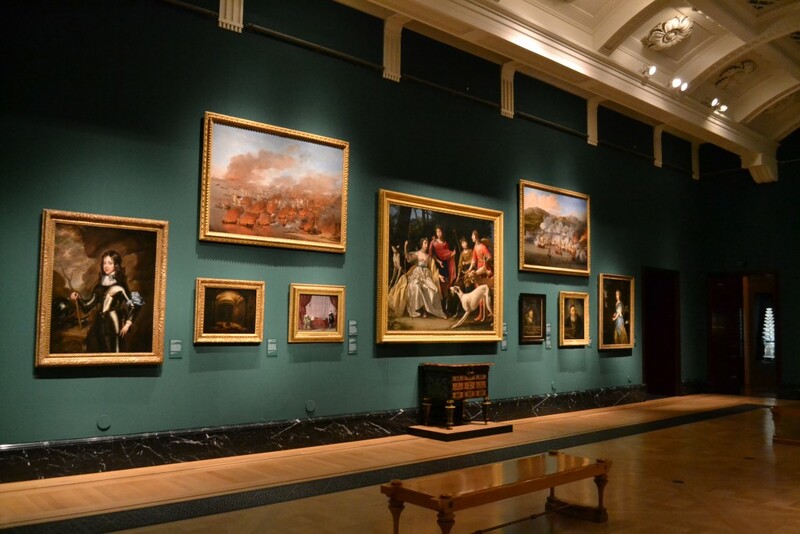 So if you are able to come to London for a visit between now and the 14th of February 2016, make time for this because it has so many beautiful paintings that ought to be seen in person if possible because photos really don’t do them justice. 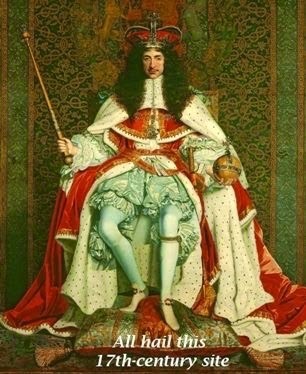 The Stuart portraits alone are worth the entry fee. Thank you … lovely to see some of these wonderful pictures and to know the public can see them. 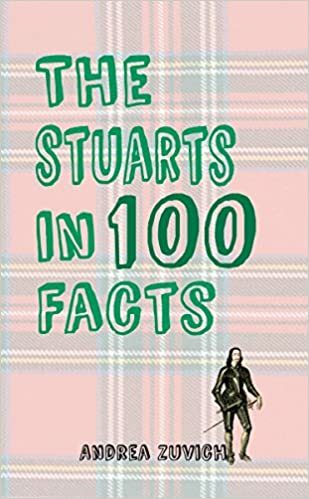 Enjoy the book!